Covington Catholic Teen Nick Sandmann Sues 'Washington Post' For $250 Million His family says the newspaper targeted the student and defamed him for political purposes after the release of a video that appeared to show a standoff between him and a Native American activist. 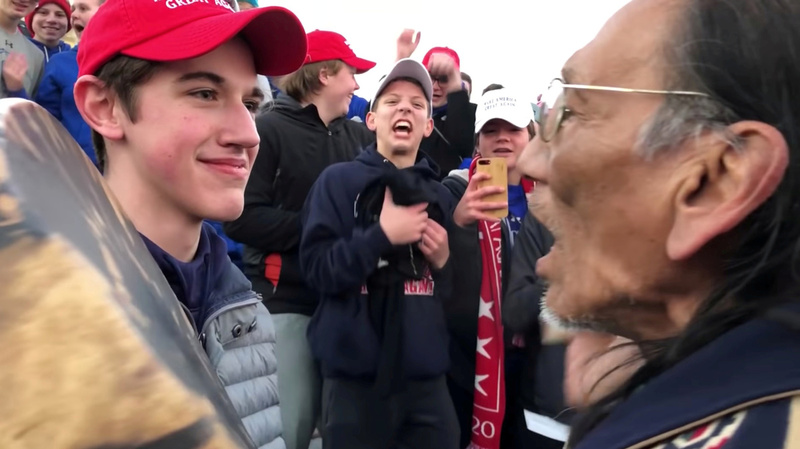 The family of Nicholas Sandmann, 16, is suing The Washington Post, accusing the newspaper of targeting the Covington Catholic High School student for political purposes. Sandmann is seen here along with Native American activist Nathan Phillips on Jan. 18.